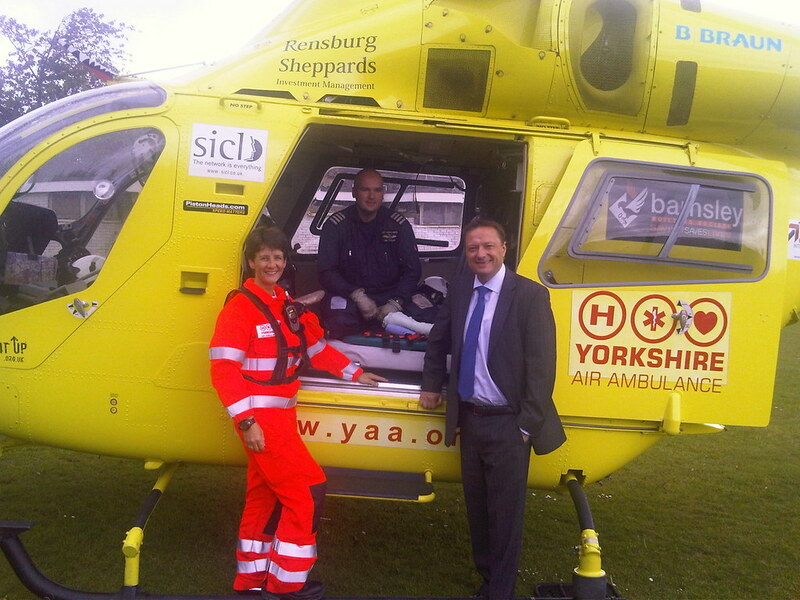 Having just cycled 280 miles from Huddersfield to Brighton to raise £1,750 for the Yorkshire Air Ambulance and the HTFC academy, it was very timely that the YAA helicopter landed next to where Jason held his advice surgery in Lindley at the weekend. After the casualty had been transferred to a waiting ambulance to go the Huddersfield Royal Infirmary, Jason went to meet the crew. He praised them for their life saving work and they thanked all of the charity cyclists who between them have raised in excess of £200,000 for the Keep It Up Campaign.